In the constantly changing SEO world, you cannot completely rely on techniques that were in effect 2 or 3 years back from now. Not just they are obsolete, but may also backfire your website’s ranking in a negative way. Hence, you should keep note of all the latest SEO techniques that can help you escalate your website rank and attract more loyal customers, organic traffic, revenues and sales. So, what are you waiting for? Let’s learn some productive SEO techniques and implement the same. P.S. – Before you use any of the SEO techniques to skyrocket your rankings, it is recommended to analyse your website’s current ranking on online search engine results. There are number of tools available, using which you can determine your rank on Google and other search engines, as well. Once you got to know about your present status, you will easily understand how to execute the following techniques in the most effective manner. In comparison to any types of videos, the videos uploaded on YouTube rank in the top 10 results of Google search. Hence, focusing on YouTube SEO is a productive strategy that will help your website gain quality traffic from YouTube and rank it on the first page on Google. Eventually, you will get just double traffic with the same existing content. Use different Web Browser and WordPress Plugins, such as Ultimate Nofollow, Canonical etc. Website speed is the major ranking factor since 2010, and Google has made sure that this factor is given high priority in the online search results. To help the developers, it even launched several tools, such as Accelerated Mobile Pages and Page Speed tool, which were meant to boost speed on mobile sites and improve site performance respectively. It even launched ‘Think with Google’ tool that involves speed as a parameter to check how responsive a website is. This clearly indicates that the search engine is very serious about the website loading speed. If your website doesn’t load within 3 seconds, the web users might abandon it. 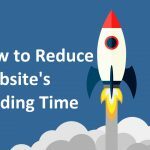 So, you need to invest much of your focus towards the site speed; it will not just boost your ranking, but also increase your conversion rate. Apart from the above techniques, you can also use several other techniques that will drive quality results for you. 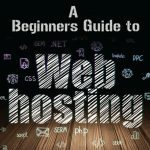 Honestly speaking, we can come up with a full-fledged list, when it comes to talking about SEO techniques. However, it is always smart to work over few techniques that require little effort, but promise great instant results. The SEO world is constantly changing. Hence, you cannot stick to the same old strategies; you need to adapt quickly, in order to be ahead of the competition. Remember to focus on ways to engage your audience, content writing fundamentals, technical trends like site speed, SEO health, backlinks sand schema markup. Also make sure that you have a solid base on SEO basics, as the basic SEO rules will always help you stay protected against any change in Google algorithm. So, get started, attract your audience and become a competitive brand in your niche! !